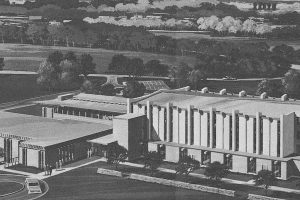 In the 1950’s the family of Charles F. Kettering, inventor and entrepreneur, was so impressed with Adventist health care for some of their members hospitalized at Hinsdale Hospital near Chicago that they determined to build a hospital in Dayton and have the Seventh-day Adventists run it. 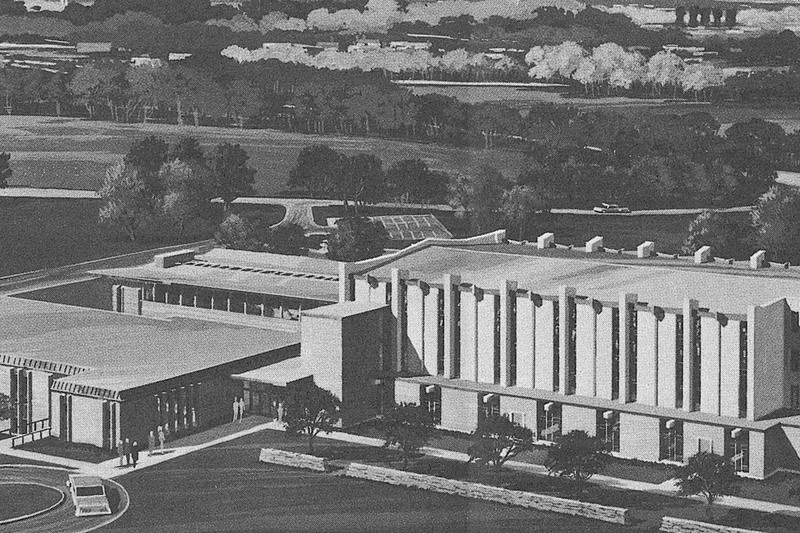 Thus was born the idea for the Kettering Medical Center. 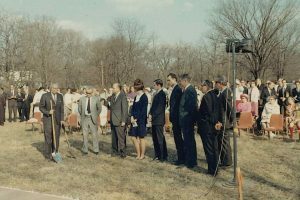 George Nelson, the director for this new hospital, told the family that an Adventist hospital had to be manned by Adventists, which necessitated building a church for all the new people that would be joining the hospital team. The Ketterings donated 4 acres of their estate for a church site. It was a happy day in December 10, 1963, when 141 people organized into the Seventh-day Adventist Church at Kettering, its formal title. 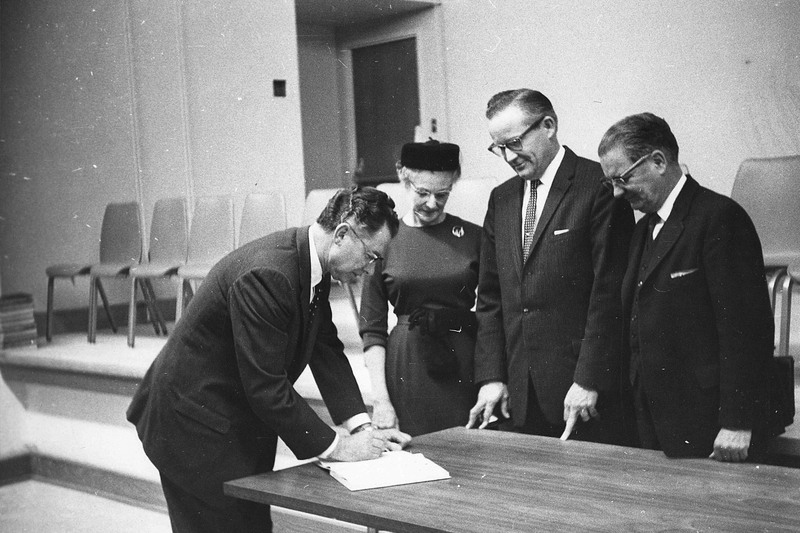 The new congregation held services in the Kettering Hospital auditorium and education classes in its cafeteria until the hospital opened in March 1964. 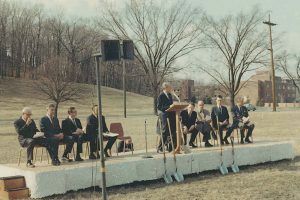 Hospital leadership had always planned to operate a college for medical training, so construction for Kettering College of Medical Arts was started in 1965. That same year our congregation sacrificed to purchase 40 acres of land for an Adventist school south of Centerville, called Spring Valley Academy. 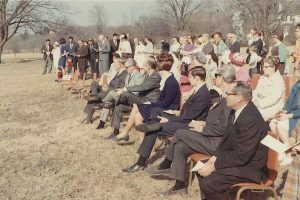 By 1966 membership had grown to 450, so the congregation moved to a larger space in the KCMA gym; children met in the college classrooms. The next year the college opened its doors to just over 100 students. Also in 1967 construction began for the Spring Valley Academy school, which went up fast enough to open in the fall of 1968 with almost 300 students enrolled. Finally the congregation was ready to build a church. 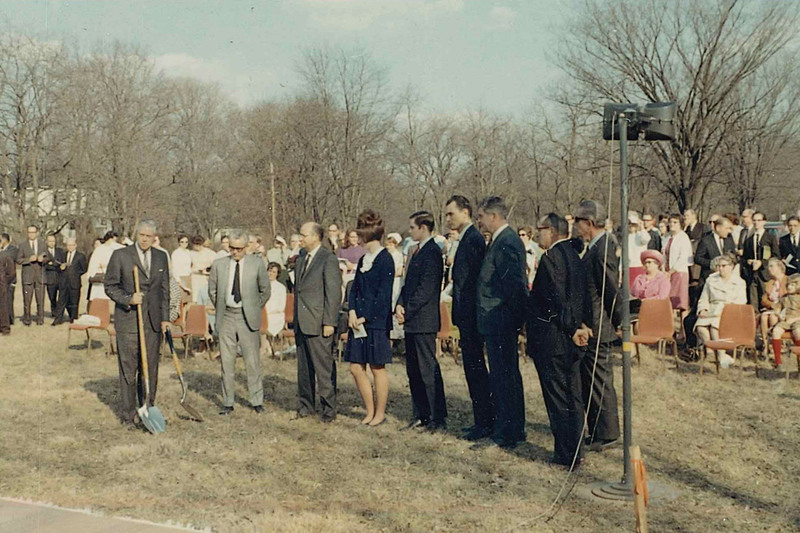 Groundbreaking was on March 19, 1969, with Eugene Kettering present. 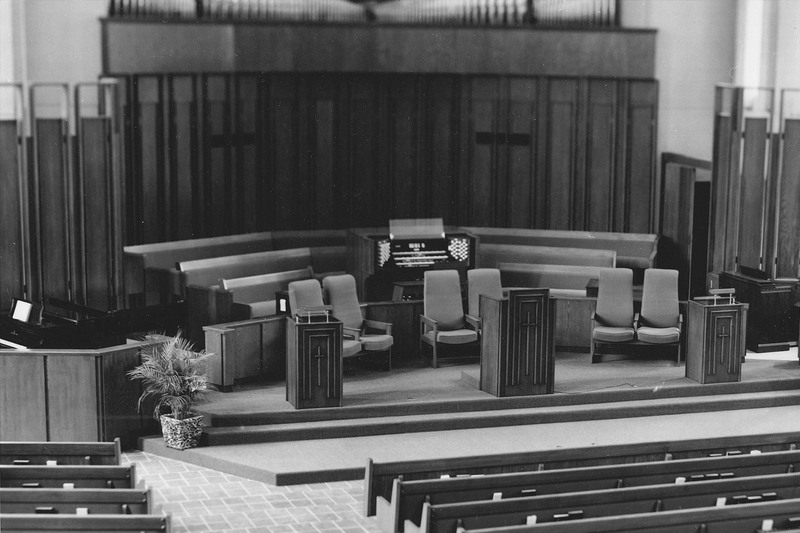 The sanctuary was a novel design for a church with brick, plaster, and wood combining to form a modern style room with great acoustics. 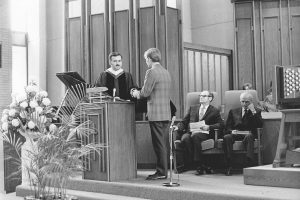 To fill the room with “music that stir men’s souls” as Mr. Nelson put it, the Kettering family gave a generous gift toward the purchase of a Casavant pipe organ, the finest available at the time. 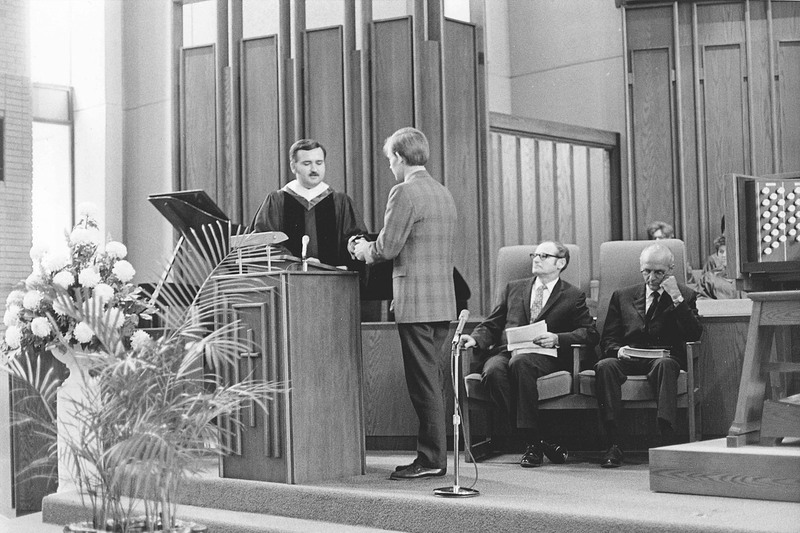 Formal services began in May 1971 with 690 members and the organ was dedicated in September of that year. The church office was located in the southwest corner in the rooms now dedicated to the Minister of Music. 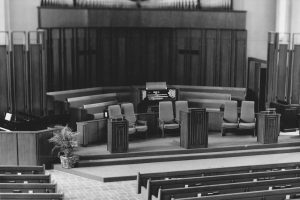 There were only three rooms available for children’s Sabbath School in the original design, so from 1975-1977 additional classrooms were built to wrap around the sanctuary and a fellowship hall, kitchen, restrooms, and the present church offices were added. 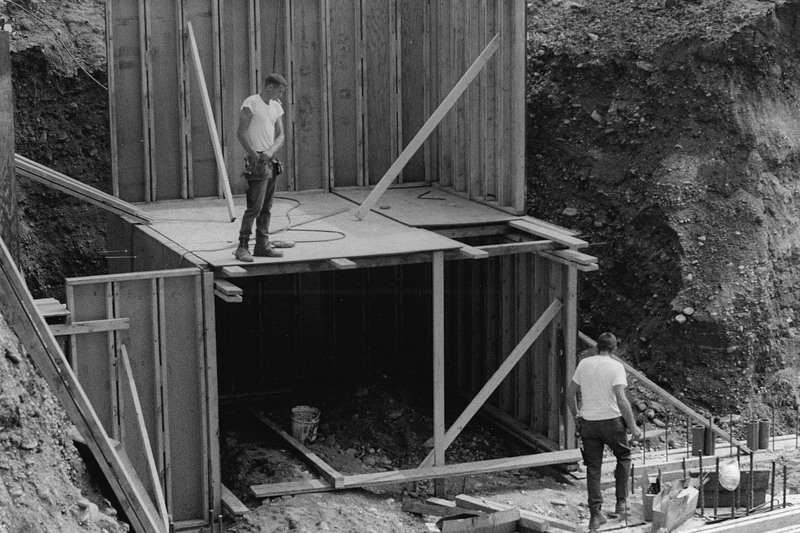 After 40+ years, the church facilities need an upgrade, which is currently being conducted under Project Renewal.